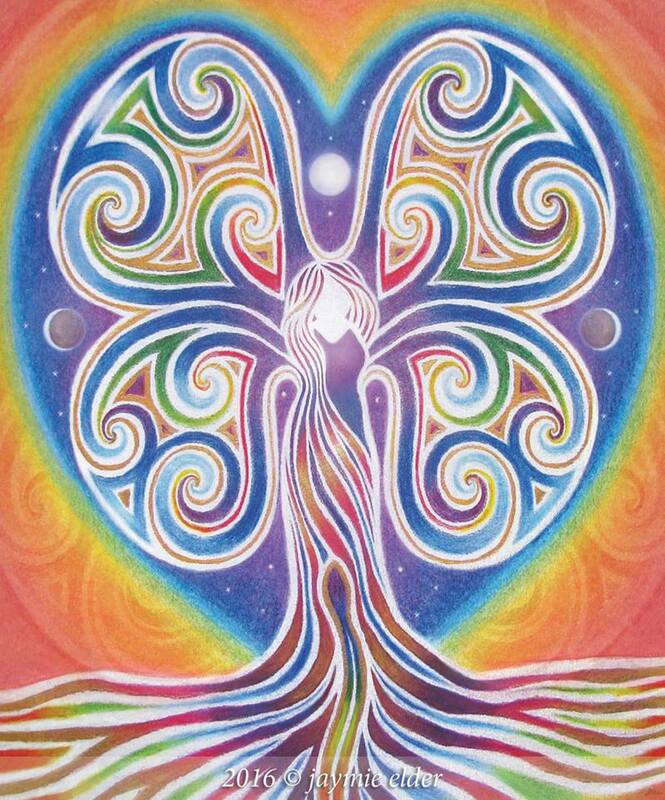 Rainbowtree Woman – Soul Journey of healing, transformation and embodying the Sacred Feminine in all life. This website offers a nurturing, online-community space for healing, soul-growth, inspiration, and transformation. It is also a platform for me to share my soul journey, offer support and some of my creative gifts with you…. SOUL ART – Ever since I was a child and as long I can remember, I have loved to draw. I also remember feeling deeply inspired and connected to the magic of nature around me. In this section of my site, you can view and learn more about my passion for creating Animal Portraits, which I offer under the menu title – Soul Art. I am creating a unique and special tribute for your animal companion, which you can hold dear to your heart for a lifetime. I know from my own experiences, the profound connection and emotional bond we can develop with our pets. THE JOURNEY OF THE SOUL – For the past 2 years, I have been sharing personal realisations, insights and inspirational thoughts about healing and the Journey of the Soul. These posts shared on my blog have evolved out of my own personal healing journey, which began in 2001. However, over the years, my work and understanding have deepened thanks to my journey with my partner of 14 years, Juerg Dreamturtle. Please feel free to read through some of my more popular posts, which I have combined under the menu title, Featured Posts. SOUL SESSIONS – I am offering the opportunity to work one on one with me in what I call Rainbowtree Woman Soul Sessions. Where possible, sessions take place in person or internationally via Skype. Soul Sessions offer a unique chance to feel, reflect and connect with the deeper part of your being – your Soul. Soul Sessions are about supporting you to heal and grow towards your authentic self – and a life in harmony with your heart and soul being. Throughout each session, I use cards created from my own paintings and photographs, to uplift, inspire and encourage people to connect with the mystical beauty of nature and the wisdom of animal messengers. Together with my partner, Juerg Dreamturtle and our dog “Cento Cavalli”, we share a nomadic life in our campervan. We spend as much time as possible in nature where we love to gather and use seasonal wild plants, berries, herbs, mushrooms for cooking as well as for medicine. Juerg is the author of “Sacred Journey – a Simple Book of Soul Wisdom, Love, and Healing.” He offers soul wisdom for people, families, communities, leaders, and companies to evolve and grow in love, compassion, well-being, harmony, and self-sufficiency. You can listen to some of Juerg’s teachings by subscribing to his youtube channel. Our Facebook page, “Sacred Journey” was originally created to share some of our journey’s insights and also teachings from Juerg’s book – “Sacred Journey”. If you are interested in a Soul Session or a portrait of your beloved animal companion please write to me. Any feedback, comments, and questions are also most welcome here… I look forward to hearing from you. Thank you, much love and blessings! Jaymie.